To keep your cooking appliances in a spotless and functional condition, you should sanitise them. Best results you will receive if you use the services of a cleaning contractor which knows how to do this work. 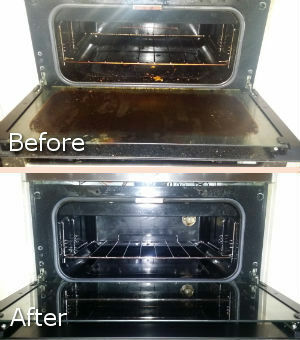 We have been providing professional oven cleaning services in Brockley SE4 for a long time. Our numerous pleased customers prove that we are an agency which can be trusted. If you rely on us to provide the oven cleaning which you need, your cookers will look like new. Our services can be used in residential and commercial estates. If you rely on our staff to ensure the clean condition of your oven, the meals which you prepare will be ready faster and there won’t be any smell left from the previously cooked food. Our cleaning technicians will take apart the removable oven parts, the oven door and knobs whenever it is possible. They will soak them in heated eco-friendly cleaning solution in the dip tank in their van. Our cleaners will sanitise the inside of the cooker. They will scrub the glass panels and oven door inside and outside. After soaking the racks, trays and pans, our employees will rinse and wipe them down. 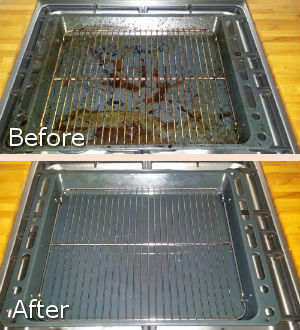 Use our oven cleaning services that are available in Brockley during weekdays and weekends. They will ensure the faster work of the cookers in your home, restaurant and other property. If you need professional cleaning of the oven in your house, flat, rented or commercial estate, use our services. They include excellent sanitising of the inside, outside oven parts, oven door and removable components. The grease, stains and food deposits will be removed completely from your oven. Get in touch with us to order the oven cleaning which you need in SE4 Brockley or anywhere else in London.